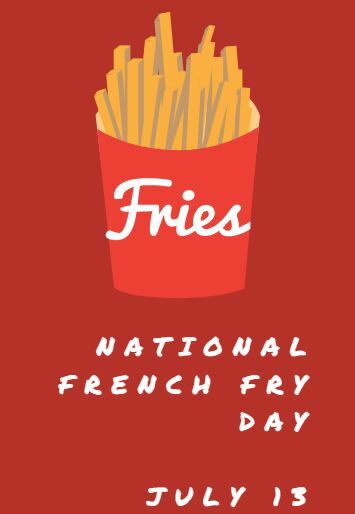 “Would you like fries with that?” National French Fry Day is coming up on “Fry-day”, July 13, 2018! Here’s all the places you can grab a fry deal or freebie on Friday! Enter the National French Fry Day Sweepstakes! You could win 1 of 1,000 FREE Grown in Idaho Frozen Potatoes product coupons ($3.25 value). Be sure to get your one-time entry in by July 13th. Participating BurgerFi locations nationwide will offer a free order of hand-cut fries with any purchase all day. You will need to mention the offer when ordering. I know when I say “fries” you don’t think of Dunkin’ Donuts. 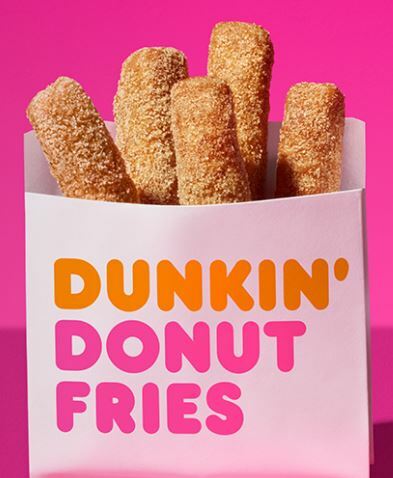 BUT if you want to make the most of National Fry Day, you can have fries for breakfast with Dunkin’s new DONUT FRIES! I was hoping DD would have a Fry Day freebie and while they are, it’s VERY limited. What a bummer! The first 100 guests at 25 participating Dunkin’ Donuts restaurants across five U.S. markets, will receive a free order of Donut Fries from 10am to 2pm local time on National Fry Day, Friday, July 13. Check here to see if a DD near you is on the list (unless you live in Tennessee or outside a MAJOR U.S. city (Chicago, LA and others), don’t get your hopes up. The International House of Pancakes – who recently announced that they do burgers too – is offering unlimited fries with any burger combo – starting at $6.99. Get a free medium order of fries with a $1 purchase every Friday when you show the coupon on their mobile app. Get Bottomless Steak Fries when you order one of 5 participating burgers for $6.99 each. See the details on the Red Robin website. On Friday, July 13, Wayback Burgers is offering bottomless fries with the purchase of a burger or sandwich! This offer is valid at participating locations. Next post: Mixbook: up to 50% Sitewide thru July 18th!